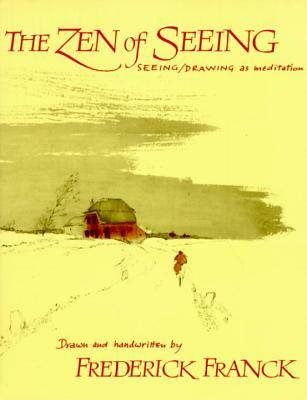 Seeing/Drawing is spiritual discipline, a "Zen method" admirably suited to the active temperament, and a way of contemplation by which all things are made new, by which the world is freshly experienced at each moment. A renown Dutch artist offers his concept of seeing and drawing as a discipline by which the world may be rediscovered, a way of experiencing Zen. Frederick Sigfred Franck was a painter, sculptor, and author of more than 30 books on Buddhism and other subjects who was known for his interest in human spirituality. His drawings and paintings are part of the permanent collections of numerous museums in America and abroad, including the Museum of Modern Art, the Whitney Museum, the Fogg Museum, and the Tokyo National Museum. For three years he served on the staff of Dr. Albert Schweitzer. He was the only artist to record all four sessions of The Second Vatican In Memory of Pope John XXIII. He was a native of The Netherlands and became a United States citizen in 1945. He died in 2006.